Email migration is easy using the free migration tools offered with MDaemon. Whether you want to move your data from Microsoft Exchange Server or from any other email server that supports the ActiveSync protocol version 14.1, we can help with tools and resources to make the transition hassle free. 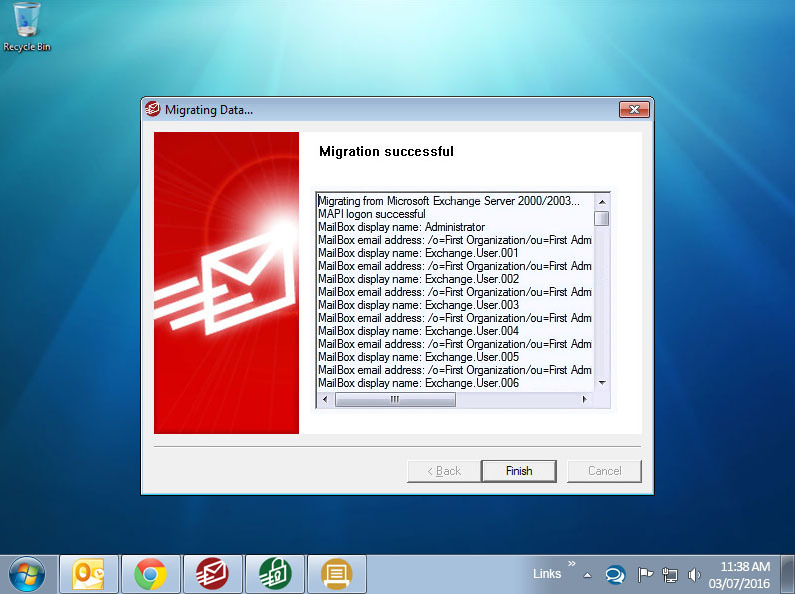 For migrating from Exchange or any other mail server, the ActiveSync Migration Client for MDaemon provides improved migration support for administrators by easily migrating email, calendars, tasks, notes, and contacts using the ActiveSync protocol. Note: All shared & public folders are synced to a user's own IMAP folders. Therefore, we recommend running the ActiveSync migration client twice. For the first migration, disable public & shared folders and migrate all accounts and mailbox contents. For the second migration, enable public folders (not shared folders) and migrate a single account that has access to these folders. Then, on the MDaemon server you can use drag & drop to drag these messages to the public & shared folders accordingly. Migrating from Microsoft Exchange to MDaemon - Knowledge Base article providing detailed information on using MDMigrator, including step-by-step instructions. Exchange 2007 Migration Alternatives - WhitePaper covering the total cost of ownership and email server options for small and medium sized businesses.